R. Rawlins is a family-owned home building company that's been around for more than 50 years - leading the industry in design, renovation and new construction. Managed by brothers Nick and Simon Toone, they have taken the firm to a new sphere of ongoing development while maintaining it's deeply rooted values of customer service and deliverance of timeless quality homes. If you want the services of a company boasting an experienced team of builders, a wealth of knowledge and concern for the customer - please contact us today! The Martin Sewell Building Company is an award-winning construction company with a dedicated and highly skilled workforce, passionate about listening carefully to clients’ needs and delivering outstanding results. Established in 1985, this friendly, trustworthy and reliable family-run company has gained an enviable reputation for excellence, built on an ethos of openness and honesty. 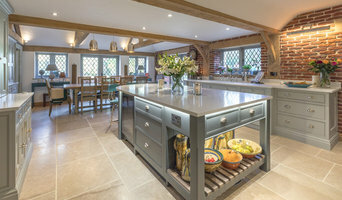 From the sensitive renovation of listed buildings, bespoke new-builds or small and large extensions, the company’s approach is one of professionalism, care and integrity. 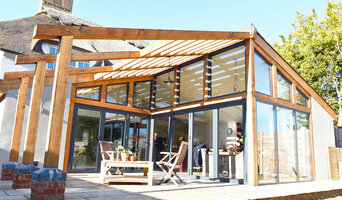 Nutshell Construction is a born-and-bred family-run Sussex company. The directors have a family history in the county going back more than 400 years. We specialise in the restoration, renovation and rebuilding of Grade 1 and Grade 2 listed buildings but we work on anything which excites us architecturally including new builds. Our workforce is disciplined, polite and intelligent; we are aware that for many projects we are guests in our clients homes and our aim is to make the construction experience as pleasant as possible. Why not build you own house with the help of Petersfield, Hampshire builders? 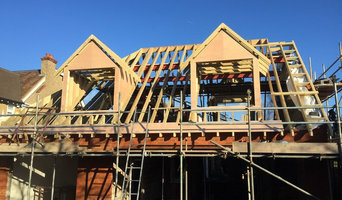 Builders in Petersfield, Hampshire can be employed to handle a wide range of projects; from knocking down a partition wall to building a kitchen extension, but you’ll certainly need the help of a trusted house builder if you plan to build your own home from the ground up. But why would you take on such a task? This may seem like a daunting task, and admittedly, it’s not for the faint-hearted. But with extensive research, trusted builders in Petersfield, Hampshire, detailed budgeting and good judgement you might soon be sitting in the house of your dreams, at a snip of the cost. Your architect’s plans will serve as clear instructions to your builder and, if the former has done their job well, you should also avoid any nasty surprises with the local council. Finding the right Petersfield, Hampshire builder need not be a long or difficult process. 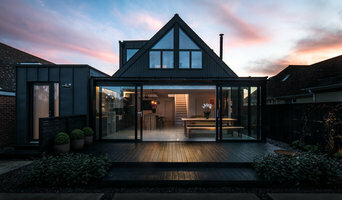 Personal recommendations aside, a good place to start is the Petersfield, Hampshire Home Builders category of the Find a Pro section on Houzz, where you can see their previous work and ask questions. Compile a shortlist of at least three builders in Petersfield, Hampshire that can handle the full scope of works, either by themselves or through sub-contracting. It is often a good idea to play devil’s advocate and ask what the builder will not be responsible for, such as structural engineer consultations. Be weary of unusually cheap quotes. Ask for references and stories about how the builder has met different challenges along the way. If you can, you could try to see builders’ previous projects in person and talk to previous clients, or if not, read reviews, recommendations and ratings, and look at detailed photos of projects. How long have you been operating as builders in Petersfield, Hampshire? Find builders on Houzz. 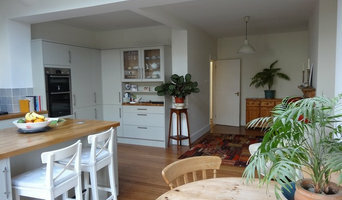 Narrow your search in the Professionals section of the website to builders in Petersfield, Hampshire. You could also look through Petersfield, Hampshire photos to find a project you like, then contact the Petersfield, Hampshire builders that created it.